Ulixis Crafts: Featuring: That's Headley! 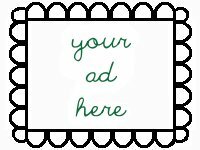 Today I'm featuring ThatsHeadley, a shop full of gorgeous jewelry made with semiprecious gemstones, beads, wire and glass. Each piece is one of a kind (though especially nice pieces may have a few replicates), completely handmade and extremely stunning. I have a few favourites to show you, but I must admit it was hard to narrow down to just these seven items. You'll also notice a distinct red and green, Christmas theme. The holidays are fast approaching (I really only have one weekend of shopping left!) and I'm getting in the mood for some holiday cheer! 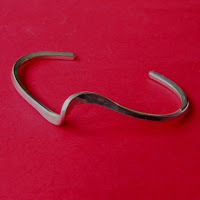 This simple and sleek, swirly sterling silver cuff is the perfect balance of simple elegance for any occasion. Paired up with this cherry red really makes it pop, so you are sure to get tons of compliments during the Christmas season. 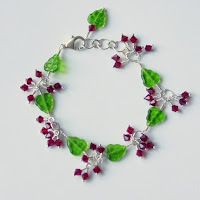 Another stunning piece for the holidays is this holly cha cha bracelet. Bring a little music to your Christmas dinner and gift unwrapping with these clusters of holly berry-red bicone beads. The bright green leaves look both like the holly leaves they represent and Christmas trees. Hopefully this wonderful bracelet will find itself under a tree this season ~ it still isn't too late, but you have to hurry! The deadline to get FREE SHIPPING in the US is December 14. You can purchase up until December 19th and still expect to receive your package before the 25th, but you'll have to pay extra for priority mail. Check out the shop announcements for more details! 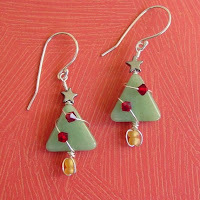 And while you're at it, check out these lovely O Tannenbaum Christmas tree earrings. Lovely green adventurine triangles are decorated with Czech glass tree trunks, red bicone Christmas balls and topped with a hematite star. Beautifully wrapped in wire for earrings you will take out year after year with a smile and a gasp "Oh yeah! My gorgeous Christmas earrings!!" For me, the dark blood-red jewel-tone of garnet is one of the most Christmas-y stones available. It's only too perfect that it's January's birthstone, since these stones are a perfect deep colour to wear throughout the deepest, darkest days of winter. 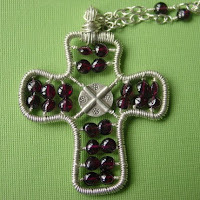 This wondrous cross necklace, wire wrapped with sterling silver and garnet rondelles, is a perfect gift for any Christian. I can only imagine how pleased my grandma would be with such a piece of fine jewelry. This would be even better as a birthday gift for any January births in your family. Not so religious, but still looking for garnets for someone born in January? Looking for the perfect Valentine's Day gift? This amazing Corazon Espinado necklace features a sterling silver, wire-wrapped heart with garnet and a striking slab of freshwater pearl. Give the gift of your heart to the one you love... you are certainly going to be rewarded!! 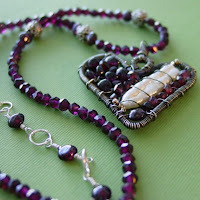 I love the purple glow coming from these garnets, which reflects off the lovely shiny pearl. *sigh* I think I'm in love. Ok, one last wintery piece. This classy lady bracelet with coin pearls, sprinkled through with light blue and lavender crystals, is definitely a piece you'll want this winter. 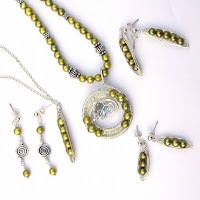 When going for class, you can't go wrong with pearls, and this snowy collection is perfectly complimented by that unique silver clasp. 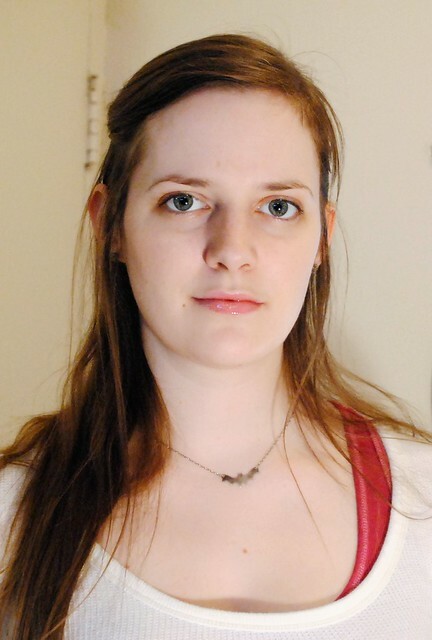 One last important note about this shop: the hope for whirled peas collection. A portion of each sale of the limited edition items in this collection will be donated to the Fisher House™ Foundation. These pieces are also shipped FREE worldwide, so you really can't get a better gift for the holidays. And these timeless pieces are so lovely, you're going to want to scoop up the whole collections! Here's a little bit of information on The Fisher House™ Foundation, and please check out the listings to learn more! The Fisher House™ Foundation program recognizes the special sacrifices of American men and women in uniform and the hardships of military service by meeting a humanitarian need beyond that normally provided by the Departments of Defense and Veterans Affairs. 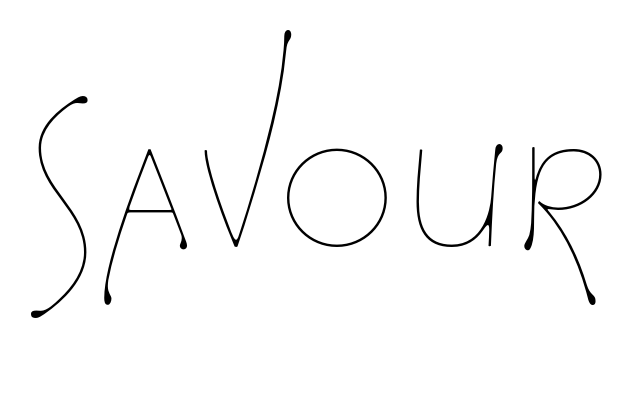 Please check out this shop for all your last minute shopping needs. You are definitely going to find that exceptional gift you were looking for! Don't forget to take a peek at her blog too, where you'll find features and more great gift ideas from the amazing shops taking part in this 90 day blog challenge! What a fabulous feature - thanks so much for all your wonderful words!